I've always had a strange fascination with torii (the traditional entrance gate to a Japanese shrine), and have done paintings of several. Though to be honest I'm not sure exactly what attracts me to them. Almost every shrine you encounter in Japan will have at least one torii, be it made of wood, concrete, stone, or steel; and (depending on the material) will either be coloured red, white, grey or brown. 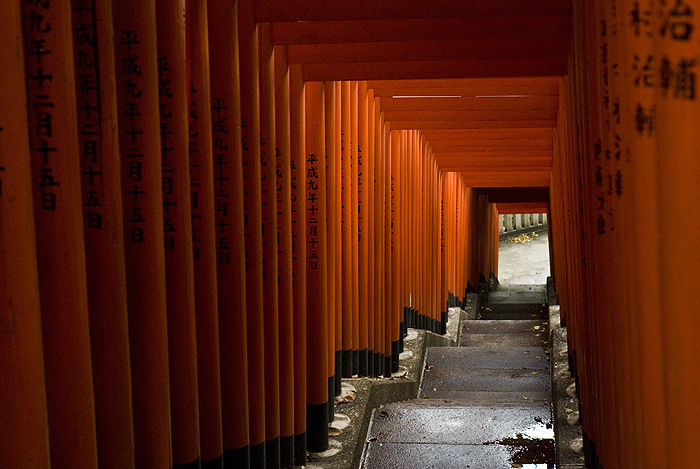 Some shrines will have more than one torii, sometimes many, many more.